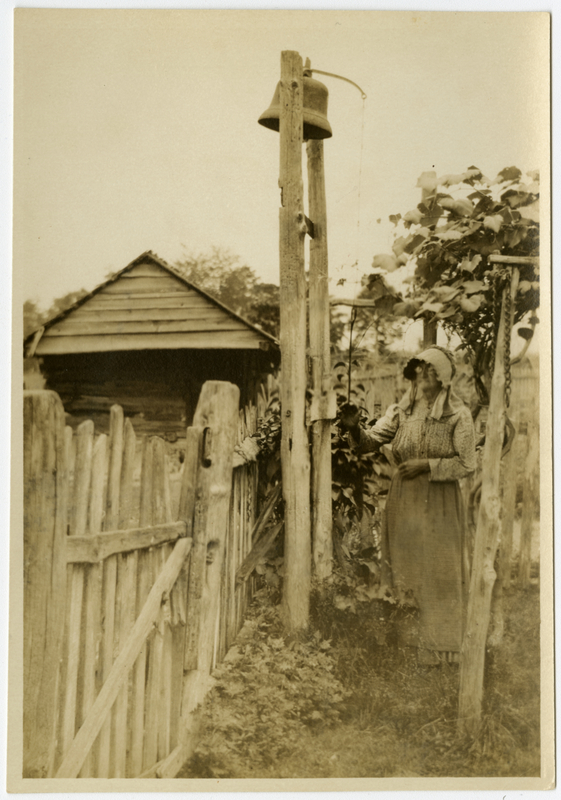 An older, bespectacled white woman pulls on a string attached to a bell in a yard. There is a wooden fence in front of her and a wooden building stands on the other side of it on the left. Johnson, Clifton, 1865-1940, “The call to dinner,” Digital Amherst, accessed April 21, 2019, http://digitalamherst.org/items/show/5144.